Damascus: Pessimism prevails as an upcoming round of Syria peace talks is set to take place in the Kazakhstan capital of Astana Wedenesday and Thursday. The talks are expected to extend the demilitarisation agreement for Idlib, formulate a plan for the return of refugees, and create a constitutional committee to draft a new charter for Syria. “I will not be holding my breath” said Murhaf Jouejati, a professor of international relations at the Abu Dhabi-based Emirates Diplomatic Academy. Idlib, refugees, and the constitution were the three main points raised at the Istanbul Summit last October, between the presidents of Russia, Turkey, France, and the chancellor of Germany. The Russians hope to transform them into action via Astana. The United States won’t be attending the 11th round of talks in Astana. “The Syrian talks at Astana have nothing to do with Syria anymore. It’s all about realignment of regional muscle-power between Russia, Turkey, and Iran,” prominent Syrian writer George Kadar tells Gulf News. Russian president Vladimir Putin and Turkish president Recep Tayyip Erdogan had reached what seemed to be an impressive agreement on Idlib two months ago, abourting a military operation in the northwestern province, provided that all terrorist militias are evacuated, specifically Jabhat Al Nusra and Daesh. Erdogan and Putin had agreed on a first deadline of October 15, 2018. None of that has happened to date, explaining why an extension is needed in Astana. All sides want to prevent another blood bath—one that would further enflame the Syrian refugee crisis, insisting that Europe and Turkey can take no more. 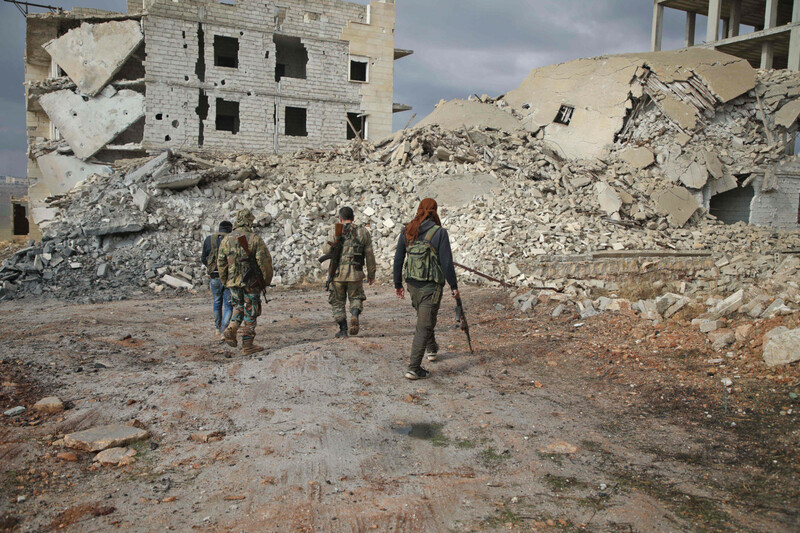 The Erdogan-Putin agreement called for the full de-militarisation of Idlib, which has been under the control of Islamist militant groups since mid-2015. Erdogan wanted an assortment of Turkish-backed fighters, known as the National Salvation Front, to lead the battles against Daesh. In return, the Russians promised that they will neither get killed nor shipped off to other parts of the country. Instead, they would have the choice of returning to civilian life or joining the Syrian armed forces. Earlier in the year, the Russian Ministries of Defense and Foreign Affairs had announced an ambitious project to repatriate 2 out of 5.6 million refugees from neighbouring countries. Only 13,000 have returned, however, according to UNHCR. The majority of the refugee population is still cautious about coming back, fearing arrest or forced conscription in the Syrian Army. The lion’s share or returnees was from Lebanon and Jordan, while those who crossed the border from Turkey only resettled in Turkish-held Syrian cities like Jarablus, Azaz, and Al Bab. To attract others, however, Moscow has pushing for a curb on military conscription and amendment of Law 10, a controversial Syrian property rights legislation that requires property owners to provide legal claims to their real estate possessions or have them confiscated by the state. The initial draft gave them a 30-day grace period, but that has been extended to one year, at the advice of the Russians. “I don’t think that the agreement will make a breakthrough in terms facilitating return of refugees. In fact, there are too many problems within Syria and very little guarantees of security from the regime forces for the refugees to start returning. I also don’t anticipate much of a breakthrough from the meeting, but instead just another chance for all sides to remain on the same page,” Dmitry Frolovskiy, a Russian Middle East analyst, told Gulf News. Outgoing UN Special Envoy Staffan De Mistura will attend Astana for the very last time, before he hands over duties to his Norwegian successor Geir Pederson. In a last-minute effort to achieve a breakthrough, he hopes to succeed in naming members of the constitutional committee. Former US Secretary of State John Kerry had previously set a deadline of August 2016 for the Syrian charter to see the light. More than two years down the road, no progress has been reached, although a new deadline was set for the committee’s formation by the Istanbul Summit, being December 2018. There is no consensus however, on the composition of the committee or on a deadline for the completion of their work. Putin wanted the constitutional procedure to start from the Sochi conference his government hosted last January while De Mistura had hoped it would be born out of the UN-mandated Geneva talks. With those talks now largely in limbo, Putin hopes to transfer the entire constitutional procedure from Geneva to Astana, where his partners in Turkey and Iran would have an ultimate say on the final constitution. Also, the Syrian government insists that the committee’s mandate is only to “review” the present charter, penned back in 2012, and not to write up a new one, whereas the opposition claims that this constitution is unacceptable, namely because it keeps all military and security powers in the hands of the presidency. Then comes the difficult part of agreeing on who the 150 members of the committee will be. De Mistura had put forth his own list. However, this was flatly rejected by the Astana guarantors and the two warring Syrian factions, all insisting that his job was to “facilitate” the process and not meddle in its membership or outcomes.